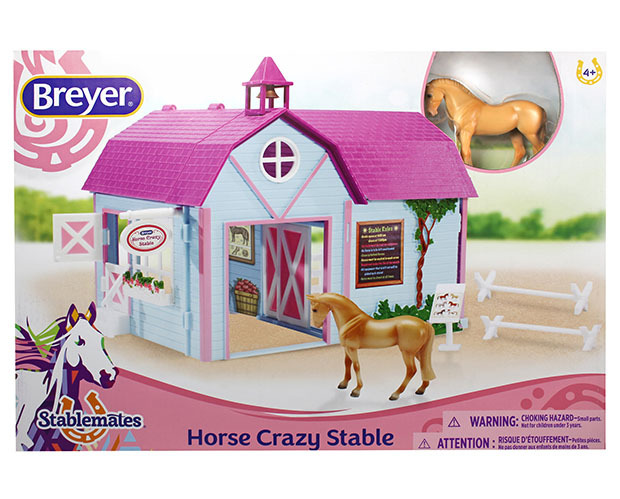 Parents and grandparents will love the fact that Breyer Stablemates are a fun and entertaining toy, without sound or batteries. Stablemates are the perfect size for in the car or for travel. 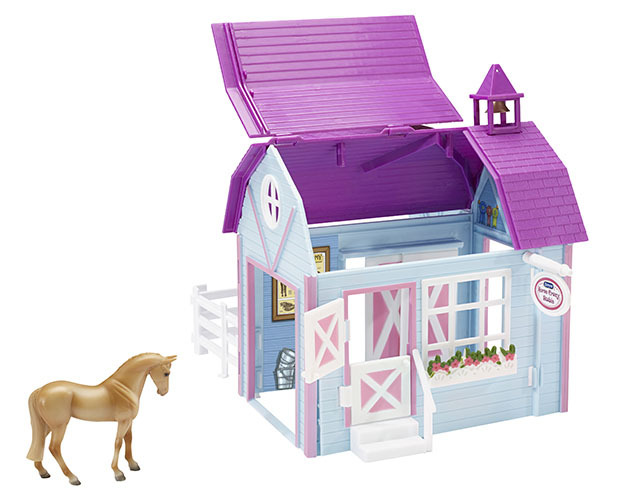 The accessories in this Stablemates Size play set are interchangeable with most other Stablemates Size Breyer Horses for added play value. Three horses can ride in style in the Breyer Hoses Crazy gooseneck trailer, with plenty of room for their food and gear! For all Stablemates Size Breyer model horses. This Stablemates® set includes 4 different breeds: liver chestnut Arabian, palomino Quarter Horse, chestnut Thoroughbred and black Appaloosa. 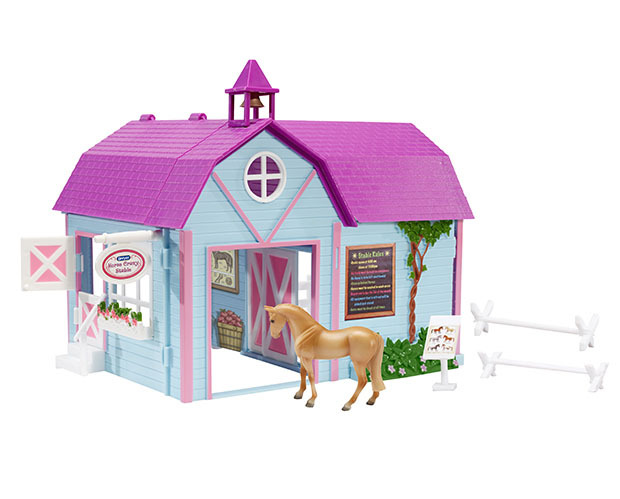 This pretty pink play set comes with a colorful barn and accessories.